We are a full service animal hospital & boarding kennel dedicated to providing a continuum of quality veterinary care – from your pets’ first weeks of life through their senior years. Dr. Lisa Feinstein and our team take pride in delivering high quality, compassionate care and personalized client service. Whether you have a quick question or a more serious concern about your furry or feathered family members, give us a call – we’re happy to help! Call us at 954-473-0192 today! Às quintas-feiras nós falamos Português! Hill's Science Diet and Hill's Prescription food voluntary recall. For more information click here! WE HAVE THE BIVALENT H3N2/H3N8 FLU VACCINE!!! Come Meet Dr. Feinstein and Our Excellent Staff! At Camelot we are known for our friendly atmosphere and the special attention we give our clients, patients and visiting dogs, cats, birds and exotic pet boarders. Our beautiful grounds with pasture, pond and front porch benches provide a peaceful setting and promote a more relaxed low-stress experience for you and your pet. 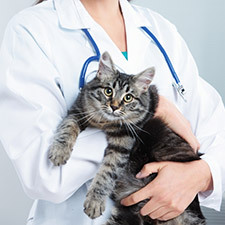 Preventative veterinary care is far less costly than a trip to the veterinarian after the onset of an illness and it's a more pleasant, low-stress way of life for the whole family. We couple our high standards in veterinary medicine with building strong relationships with our clients and their pets. As Davie, Florida's trusted veterinarian, our goal is to help pets enjoy a long, healthy and vibrant life; free of illness and health problems. Call to schedule your pets' comprehensive health visit today. At Camelot Animal Hospital, we are dedicated to high quality, preventative veterinary care, as well as additional intervention at the first sign of your pet’s discomfort. Find out more about our top-ranked services today. We believe in building mutual trust and a long-term relationship that supports your pet’s well-being. With compassion, integrity and the highest level of care, our entire team is always dedicated to proving why we're a favorite animal hospital and veterinarian in Davie. Our pet care team understands that your pets are an important part of your life. Sometimes work demands or family vacations mean that your pet cannot travel with you. Camelot Animal Hospital and Boarding Kennel provides high quality, preventative veterinary care, and additional intervention at the first sign of a pet’s discomfort, to support lifelong health and wellness. 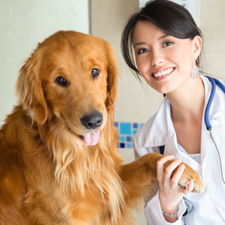 We build cooperative, caring relationships with pet owners through timely communication, client education, and a team approach to each pet’s health, including veterinarian, support staff and the pet’s family. Our goal is to support each pet’s health throughout a long, fulfilling life with his or her family. Excellence in Veterinary Medicine…First and foremost we are in the business of providing high quality veterinary medicine with a focus on prevention and client education. We strive to stay abreast of the latest research and treatments so that your pet is receiving optimal care. Integrity…We are forthright in our communications with you. We believe in building mutual trust and a long-term relationship that supports your pet’s well-being. Respect…We respect your knowledge, judgment and best intentions for the well-being of your pet. You know your pet better than anyone – we will present you with as many options as possible and work together with you toward sound decision-making on behalf of your pet. 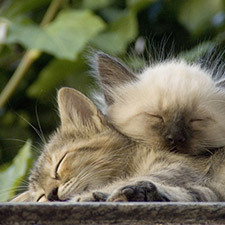 Compassion…We will always strive to calm your pet’s fears and provide comfort, as well as healing. Positive Spirit…We love our work and enjoy spreading our joy and enthusiasm for helping animals and their loving families. Provide Value…We strive to deliver superior veterinary medicine and exemplary client service at a fair price. Environmentally Friendly…We consider carefully our environmental impact and strive to be good stewards of natural resources – preserving the natural environment, reducing waste, reusing what we can, recycling what we can no longer use, and to the extent practicable, refusing to use anything that cannot eventually be recycled.